Simply Separate Plant Material Extracts! 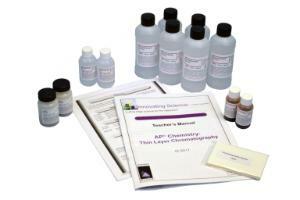 Chromatography is an analytical tool used to separate similar compounds. Thin-layer chromatography utilizes a sheet coated with silica gel. The samples are applied to the silica gel sheet and separated by migrating an appropriate solvent up the sheet. This type of separation is called adsorption chromatography because the separation of similar compounds is based on the selective adsorption of the compounds on the silica gel solid phase. In this lab samples of various plant leaf materials may be extracted or the red and green leaf extracts included may be used. The samples of extracted leaf pigments are applied to a silica gel sheet and separated using a mixture of organic solvents. 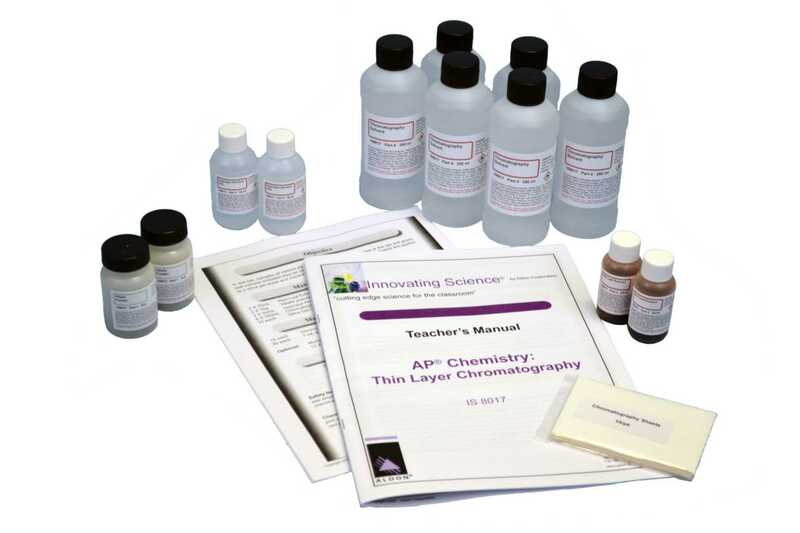 Ordering information: Includes Alfalfa Powder, Red Extract, Chromatography TLC Sheets, Chromatography Solvent, Isopropyl Alcohol, Teacher's Guide and Student Copymasters.